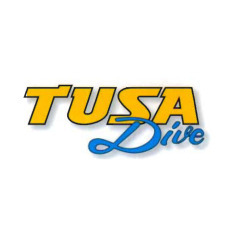 Tusa Dive are locally owned and have been taking divers and snorkellers to the reef since 1986. They pride themselves on the professional service offered by their friendly team, new custom designed dive vessels, and large selection of reef sites available for our guests to experience. 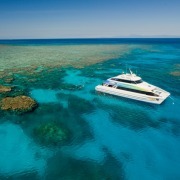 Launched in August 2011, TUSA 6 is currently Cairns' newest reef vessel. Custom designed for diving and snorkelling on the Great Barrier Reef, the Tusa 6 is the 4th build for local owners Chris Eade and Phillip Hobbs. Tusa continues the tradition of smaller passenger numbers and greater service on board the 24m Tusa 6, limiting passenger numbers to just 60 guests, while the vessel has seating to accommodate 120 passengers. Tusa operate with an average staff to passenger ratio of 1:5 in order to offer a premium service on board and in the water. In additon to dive and snorkel day trips, Tusa Dive also offer a 4 Day PADI Open Water Course and for those who have finished their pool and theory component of their scuba course, PADI referrals and SSI Universal referrals can be completed in just 2 day trips to the reef.